Jeremy Lee Designs is proud to show off the testimonials from the various people and companies we help. These testimonials are straight from the customer in raw form. If you would like to send in a testimonial about a product, service, web design project or anything else please feel free to send it in by clicking on contact us. Your testimonial truly tells us how we are doing and sometimes gives us a great boost to push even harder. Thank you for all of your wonderful testimonials! If you would like to fill out a testimonial click here! Thanks Jeremy! I have been seeing the results as we ask how people hear about us. There has been a big increase in google and internet as the means for which they learn about us! Great job!! "I just looked at my site and its perfect. Thank you so much for making the changes. I greatly appreciate it! "The site looks fantastic. You did a great job as usual!" Love the logo for Faith In Visions Realized, Amanda!!! It’s cheerful and meaningful and comforting all at the same time. I just recently launched my new business and was new to the advertising/ website design side of the market. Jeremy provided me with extra insight into how to better show case my services. In addition to the valuable insight and extra care, Jeremy was and still is prompt in responding to my questions in an efficient manner! If I were to describe his services it would be "Fantastic and Personalized Care!" Thanks so much for sending the logo! It’s been a huge hit. Everyone was very excited about it (we showed them yesterday at the board meeting) and want to use it on various items coming up soon. Thanks so much for all your hard work! WOW—you don’t mess around. It looks terrific!!!!! Thank you so much for helping us with the website and the wedding itself! The site was phenomenal and more than what I ever expected or could ask for! Thank you so much for all the effort you have put into our wonderful new website. This is a terrific way to start the New Year. It is so appreciated and I ‘m sure it will continue to evolve and grow. Thank you for all your hard work! Really like what you did on banners, Very creative! Thanks much and good show! I love it!!! I think it works beautifully, and is far more elegant than I had planned. I am as happy as is legally allowed, THANK YOU for your help and kindness! Wow…I am very impressed with the site! Good Stuff Jeremy! Hi Jeremy! We were so proud to unveil our website this morning :) Lots of compliments on the design, the sleek navigation, etc! GREAT JOB! You are doing a FABULOUS job!!!! Thank you! My site looks beautiful! Thank you for your hard work! I was impressed with the way you listened to me on the phone and your professional demeanor! Thank you! Thanks, Jeremy, you have been doing an incredible job! Barry Jacobson, President, Solar Impact, Inc. Thank you Jeremy Lee Designs, you did a wonderful job developing our website, it is user friendly and we are very happy with the outcome. Your company was prompt and professional at all times. WOW!!! What a BEAUTIFUL job you and your team have done on Osceola Children's Cabinet! Thank you very much! I can see that you worked a lot on my site. I do like the photos you chose! They fit very well! I appreciate that very much. Thank you. Thank you Jeremy. You are so awesome! I see all work you did. The resizing and shadowing of the photos and pictures, the rearanging, sizing, color and shadowing of the lettering, the better back ground colors with texture and shading, and the links to a map. You obviously spent hours doing this and it looks way better than the flyer. I agree with your idea of keeping information uniform on the web site. You always do outstanding work. It looks awesome....you have done a great job!!!!! You and your team had a lot of work with this one...... and have really gone above and beyond...Thank You!! and your guys! I have been Using Jeremy Lee Designs for about a year now and he is wonderful! I can't believe I waited to change companies. He built my new website (www.cfpools.com) and gave it a much needed face lift from my old site. His prices are reasonable and changes are done quickly! If I call and he is unable to answer he shoots me a text or an email to let me know he seen my call. Great customer service, great prices, great turn around, great personality! Thanks so Much Jeremy!! I would recommend this company with out a doubt! Jeremy, you did an awesome job!!! We absolutely love them! Thank you!!! Great, thank you for your help with this. This was perfect Jeremy! Thank You! As a start-up entrepreneur it was very difficult for me to see the forest for the trees, all I knew is that I wanted a professional looking website, but had no direction on how to get there. I initially started working with Premier Creative and we were unable to have a meeting of the minds (they could not create the vision I was visualizing). After speaking with Jeremy about my ideas he was able to grasp my internal vision and transform it into the informative and functional website I was looking for but unable to put in words. Although most of my interactions with Jeremy was through e-mail it was like dialoging with someone who had a vested interest in my success. In this day and age to find this level of personal service, especially in the electronic world, was both refreshing and relieving. Because I believe quality and extraordinary customer service are key components to a successful business, I am one of the toughest critics when it comes to defining quality and customer service. Without reservation I can truly say Jeremy Lee Designs is the total package. He is a top-notch designer with a passion for clear and practical approaches to creating websites and making customers feel like their success matters. The site looks great! We appreciate all of your hard work and dedication to the site. The site looks AWESOME (Allen Research Group)! I really LOVE what you’ve done. It's simple, but very elegant and professional looking. That looks good (Materials Science & Engineering website). Thanks for the quick response! Jeremy built a great website for us, but more than that,he has been extremely professional and very easy to communicate with. Which is key to any successful business relationship. So hats off to you for your unwavering dedication to your clients. Very nice site you got there (LatinoBaseball.com). Very nice job! Jeremy, are you serious........? ! ? ! ? ! ? ! ?. This totally exceeds my expectations! Premier Creative could take lessons from you. Overall, AWESOME JOB! Thanks so much! Jeremy Lee Designs built me an aesthetically pleasing and rock solid website. I came to them with my idea and they built a wonderful website around it. For the most part I let the JLD team do what they do best, build my website, however when I wanted something just so on the website it was promptly changed. I am so glad I didn’t try to build my online presence on my own with one of the cookie cutter templates. Their pricing is fair and they were transparent with how they came up with the price. I would absolutely recommend Jeremy Lee Designs to any of my friends and associates. I love it! It looks great, worth the wait ;). Thanks Jeremy! I have viewed many of your designs and I think you have mad talent!!! Thanks again for the wonderful work. The use of vacation pictures was a blessing to my heart. The website looks fabulous. I am seriously grateful for your talents and love what you have done. The recording sounds awesome on the message, and Tampa confirmed they were able to hear it. ( YOU ARE THE BEST) Thanks for EVERYTHING !!! Jeremy, thank you very much! You all are always very professional. I must say you did a heck of a job with the entire site. The banner, data sheet, roll over links, social networking links, layout, email address collecting, speaking request form, etc., and I especially think that those other pictures you found and added really brings the site to life more than anything. This is even better than what I was hoping for. I like it a lot! Good job, bro! The website is really looking good. Thank you for all of your efforts on it! The site (Custom Lighting Inc.) looks really great, thank you for the work you have put into it and redoing the site from what we previously had! Your new website (Saving Animals For Everyone) looks great! Web site looks great! Thanks again. This website (Esther's Joy) is so beautiful! Wow... I really think it looks fantastic! I love what you did with the images on the main page. Thank you for incorporating the social networking and mailing lists! I love what you've done! Thanks. This looks very good! BTW I don’t know if I ever told you but everyone here is very pleased with the website. I’ve gotten a lot of positive feedback. NOW THAT'S WHAT I'M TALKING ABOUT...GREATWORK !! ZING ZANG BOOM !!!!!!!!! THANK YOU again for helping us. Your our hero!!! The site looks AWESOME! We love it! Again, thank you so much for such beautiful work, it is exactly how we wanted it! It was very nice working with you! It looks so good. We are excited and glad to finally have the website up and running. We are very happy with how you filled in areas on your own research. WELL DONE, Jeremy! It looks great, too. Thank you. I like the idea that they don’t have to get another email, but go straight to the next page. I even checked my aweber account and found my name. GREAT! This may be a big help for my site. WELL DONE. Our IT department came up in a casual conversation yesterday and I thought you would be happy to know that everyone spoke so highly of you. We all greatly appreciate your time, patience and assistance. I know you have come to my rescue on countless occasions and I am sure in the stress of the moment I forgot to thank you profusely. I Love the comment section!!!!!! Thanks so much! We will definitely be using this on future articles, and possibly adding it to the intranet…..thanks again! Also, saw the new sight you did for our competitor!!!! Looks great! I'm glad that worked out for you, but when you put out a good product I am sure the work comes to you! The site (Latino Baseball) is looking great! Thanks. The website looks absolutely fantastic!! You far exceeded my expectations on this. I love everything that you added. We tested the email and quote things last night and they work great. I love the design and little creative things that you did to enhance the overall look of it. It really looks GREAT man!! I am so happy with it! Good job on the graphics, I'm very pleased. The corners on the header, nice touch. Thanks for the good work! Thank you for the for the great website and the excellent communication. 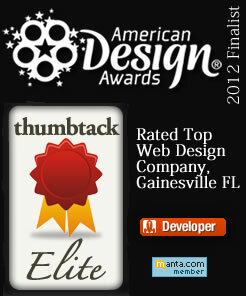 We are very happy and the site looks great! Good seeing you yesterday at the game. Your website looks great, congrats. Working with Jeremy Lee Designs has been an extremely positive experience. Our websites look beautiful and much care was taken down to the smallest detail.